Views, Views & more Views! 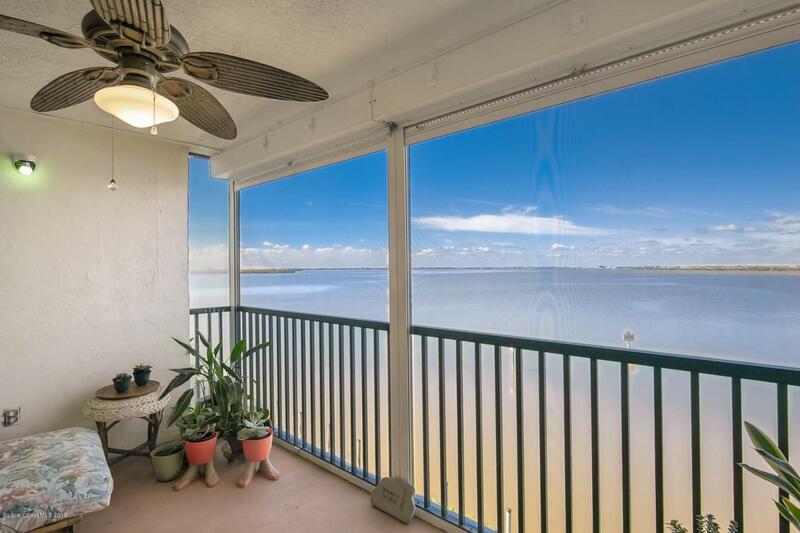 Enjoy spectacular sunsets, marine life & tranquil waterfront living at this direct Banana River condo. 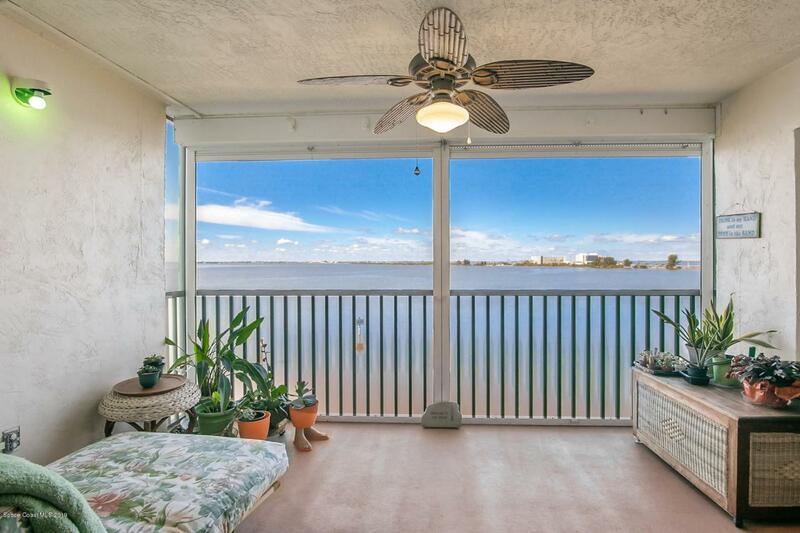 Endless views from screened balcony & master bedroom from this beautifully updated 4th floor, 2 bedroom, 2 bath unit. Super clean and well maintained with new carpet & newer appliances. 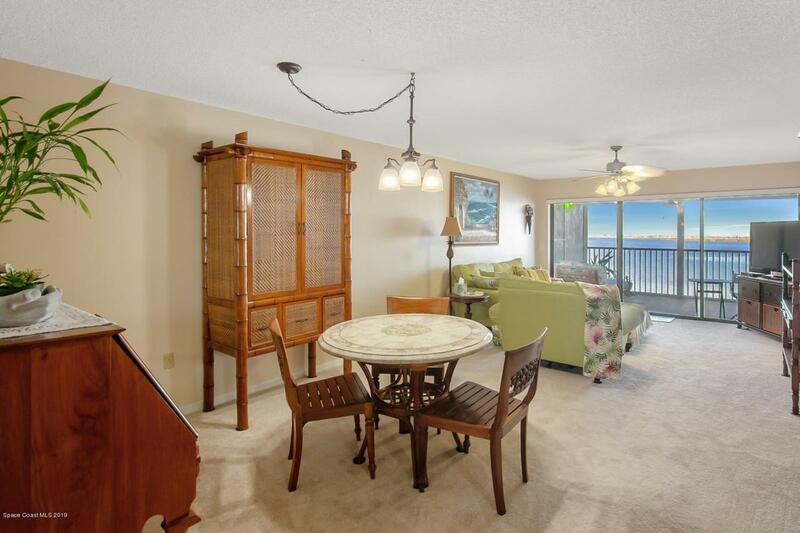 Gorgeous kitchen & bathrooms, remodeled to include Ceaserstone quartz counters & wood cabinets. Kitchen layout is spacious & thoughtfully planned with nice natural lighting from the window. Light & bright master bedroom overlooks the river & features a large walk-in closet plus master bath with jetted tub & shower. Located in desirable Rock Pointe where amenities are abundant with a heated pool, hot spa, tennis courts, exercise room, clubhouse & car wash! 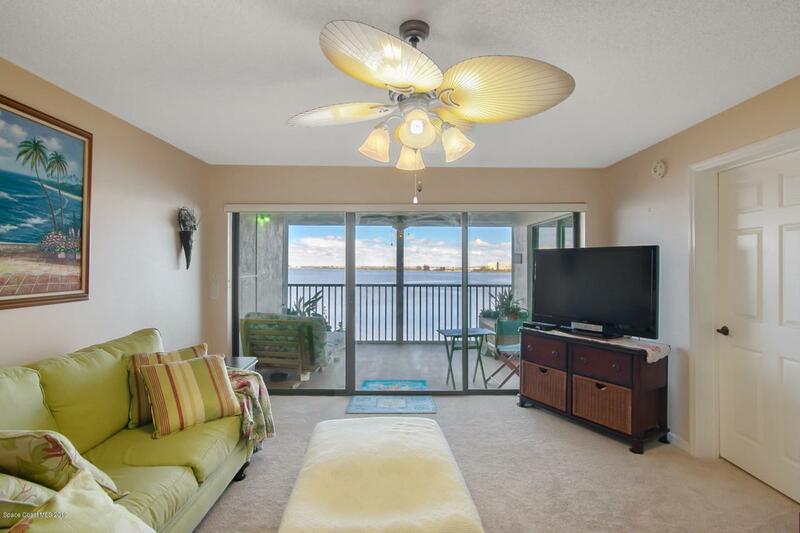 A stones throw from....the beach, great restaurants & shopping. Orlando International Airport and Disney Parks just 50+ minutes away.